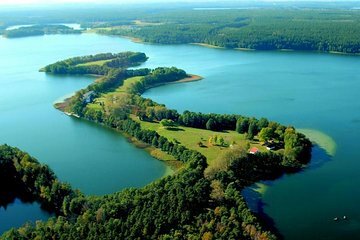 Escape the usual tourist trail, and explore a unique part of Poland—the Kashubian Switzerland region. It’s the perfect tour for travelers who want to see beautiful scenery, and learn about regional traditions. Enjoy a convenient hotel pickup, and private transport. You won’t have to worry about waiting in lines, or paying extra for entrance tickets, as admission is included to multiple sites, such as Wiezyca Hill. Other tour highlights include a Nunnery, and The Museum of Kashubian Pottery.